If your business focuses mainly on rendering services, creating a business quotation may be something that you should highly consider. 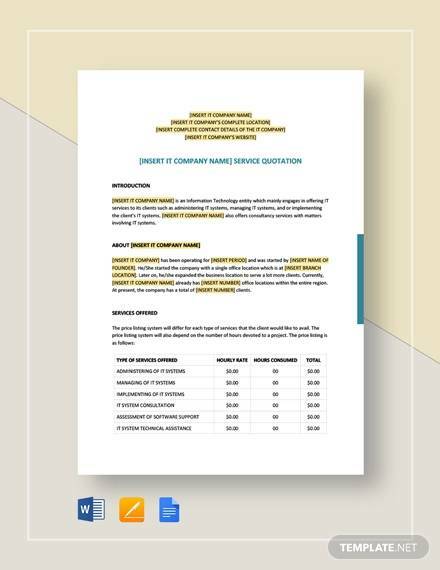 A service quotation template can help you give your customers a rough draft of the expected costs that they will incur should they choose to do business with you. Coming up with a quotation should be a staple in your day-to-day operations. 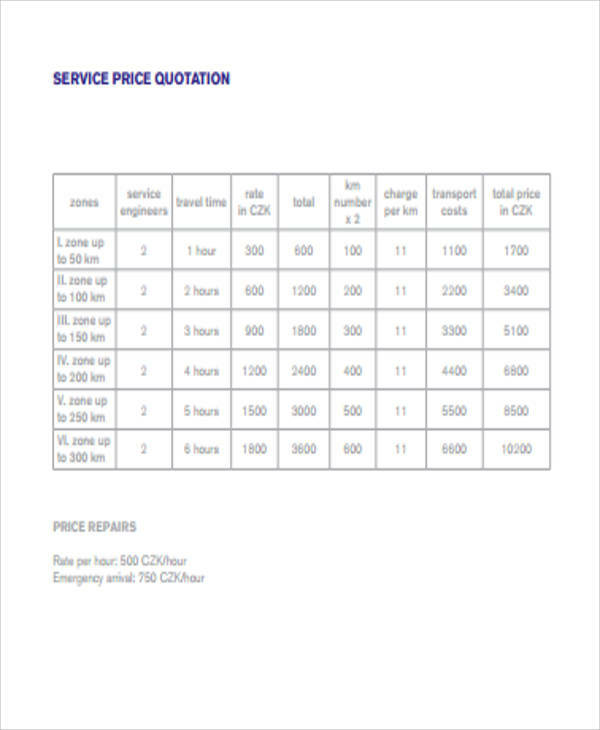 If you have yet to come up with your very own service quotation template, we are here to help you out. We will let you in on some simple tips that you can follow in order to end up having a formal quotation that will surely make everything much clearer between you and your customer. Keep on reading for more information. 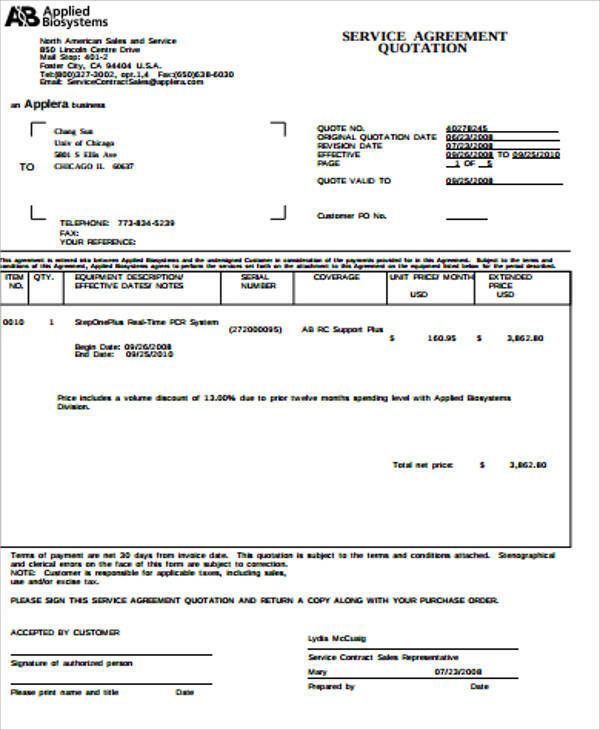 A business service quotation is basically a document that is used by a vendor or a service provider to give a rough estimate of how much specific goods and services would cost. It is also interchangeably used with the terms bid proposal, quote, estimate, and sales proposal. 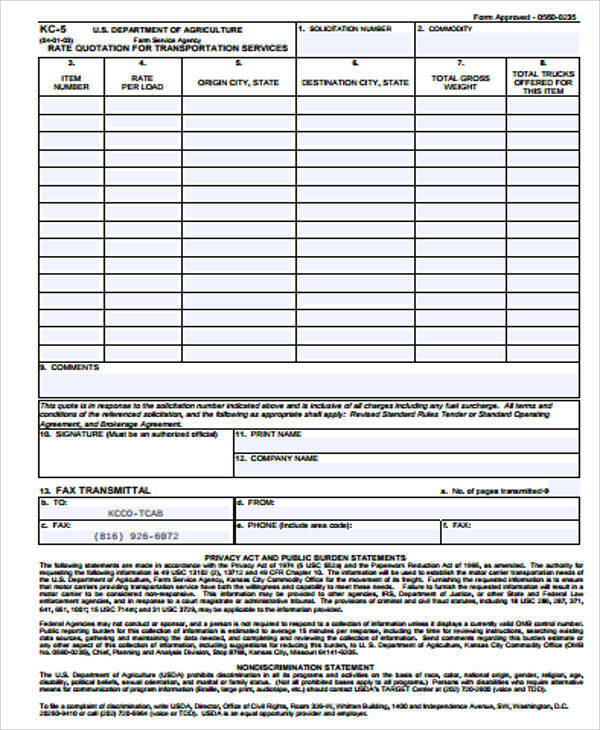 Most of the time, a service quotation form or document is prepared and issued as per customer’s request. Standard rate or the common rate that you usually give for the service/s that you render. This will give the customer an idea of the consistent costs that you have. Additional expenses refer to any expenses that may not be part of the standard rate. This is usually included to ensure that your customer has a good idea about any incidental charges that may occur during the rendering of services. Expiry date or the duration of validity of the quotation. This is included in order to give the customers a good amount of opportunity to decide whether they would push through with the order or otherwise. 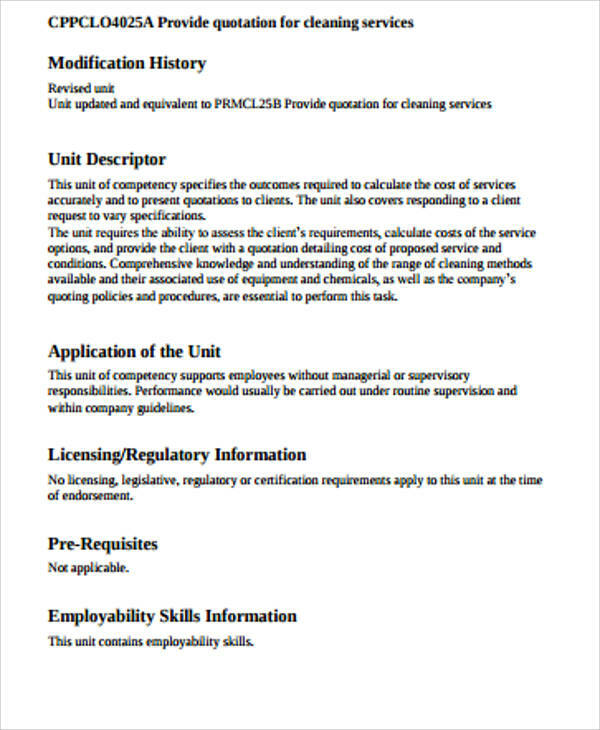 Your service quotation template will have three main parts: the header, the body, and the footer. Check out below what is commonly included in these main parts. The header will contain vital information about your business, the customer, and of course, the transaction itself. Quotation letterhead. Just like with letters, a letterhead for a quotation would include the business name, the complete business address, and contact information such as telephone numbers and active email address/addresses. 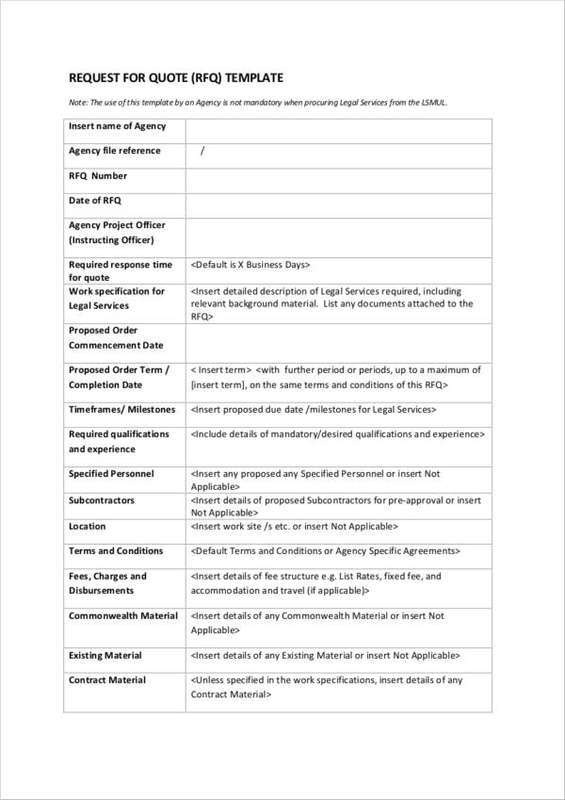 Some countries require for the business registration number to also be included on the letterhead. 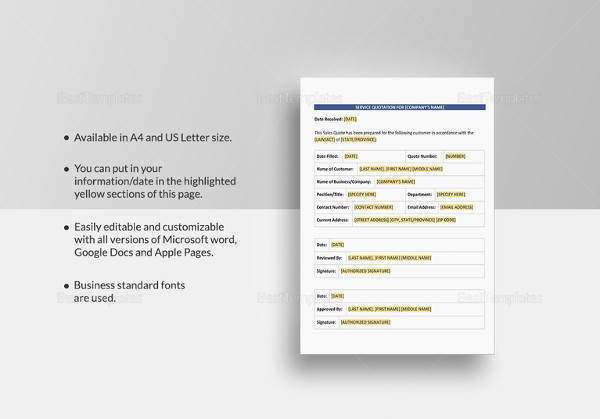 You may check out some sample letterheads by reading Top 21 Business Letterhead Templates. 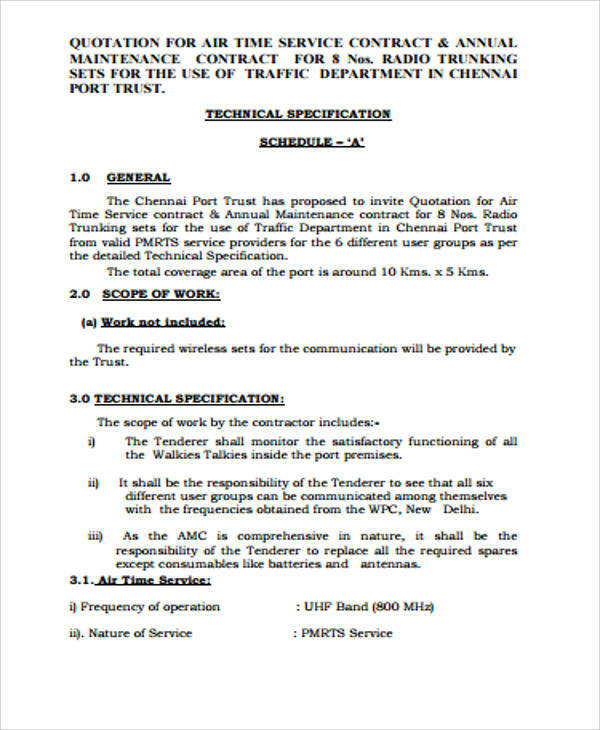 Document Title. 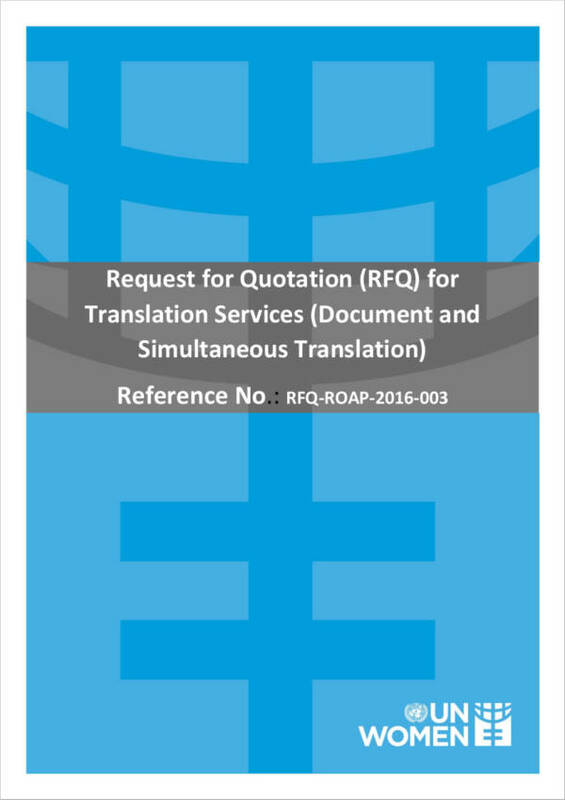 The words Service Quotation should reflect on the document to establish to the customer that he/she is receiving or reading is a quotation of the services that he/she wants to avail. Tax Registration Number. The Tax Registration Number is usually included below the document title if you are registered to bill and collect taxes for the services that you are rendering. The Quotation Number. A quotation number will serve as a reference number for the transaction that has occurred. 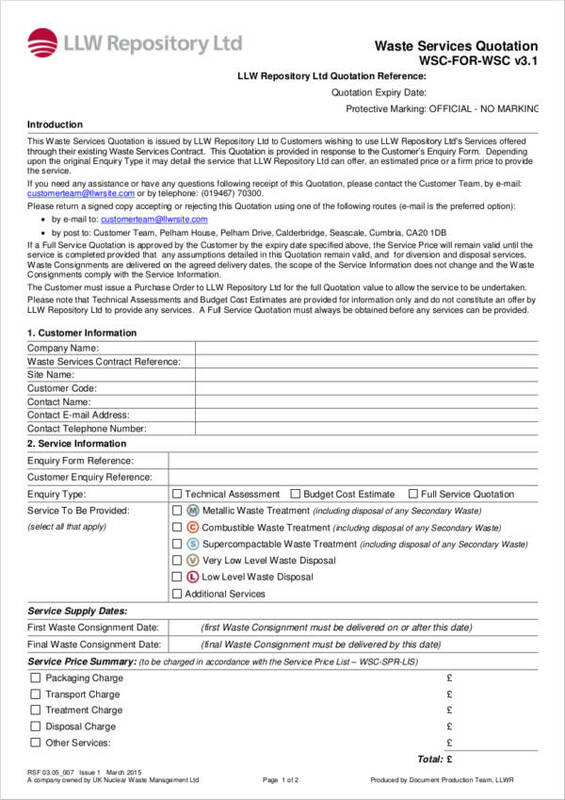 There is a unique quotation for every service quotation form to ensure that it would be easier to track the transaction for every customer. Quotation Date. This refers to the date that the transaction has occurred. 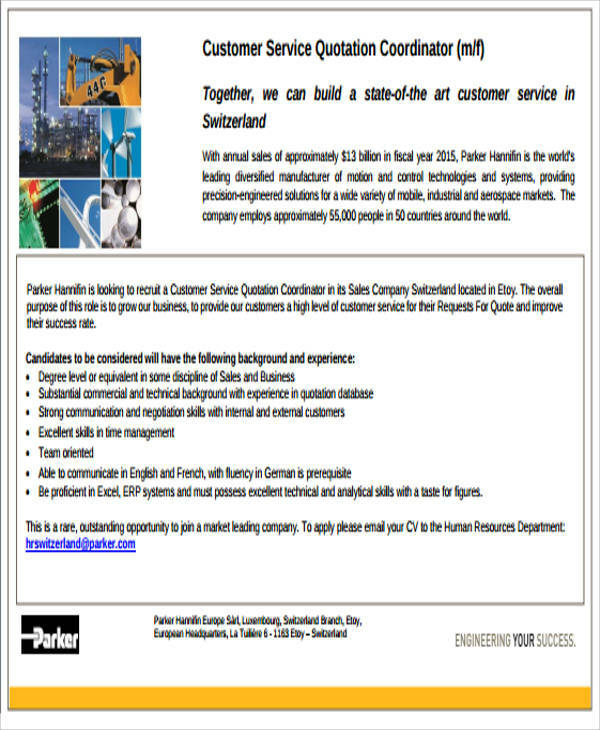 Customer Details. This pertains to the customer’s name, complete address or billing address, and the contact details such as the mobile number and telephone number. When it comes to describing the service/s to be rendered, you have to make sure that you are as specific as you can be in order to avoid any misunderstandings between you and the customer. You may even include illustrations and drawings if you think it will help to make things a little bit clearer. Total amount of all the items to be acquired and the total estimated price of the items to be acquired. Taxes. This refers to the total tax amount and the total estimated amount after taxes have been applied. Business signature. This refers to the authorized business signature that your business has, if applicable. Customer signature. 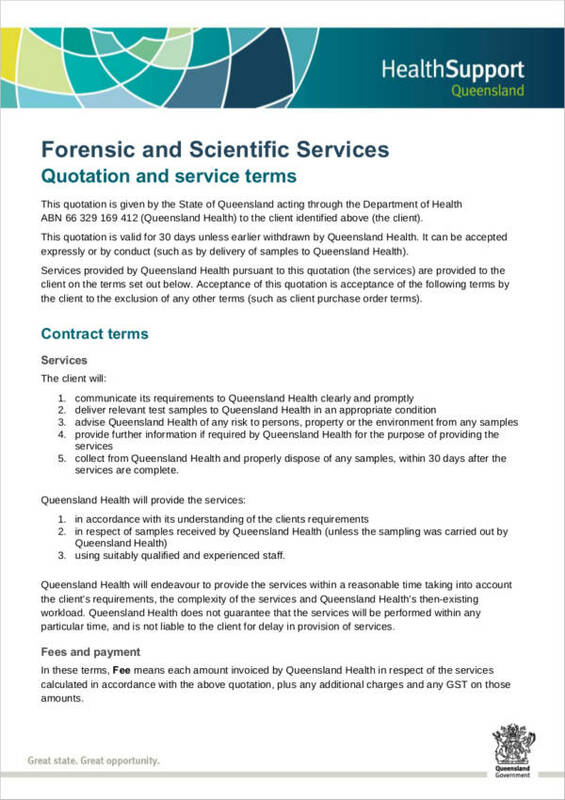 Having a customer sign the service quotation ensures that he/she has a good understanding of what has been stated in the document and that he/she has accepted the service quotation. 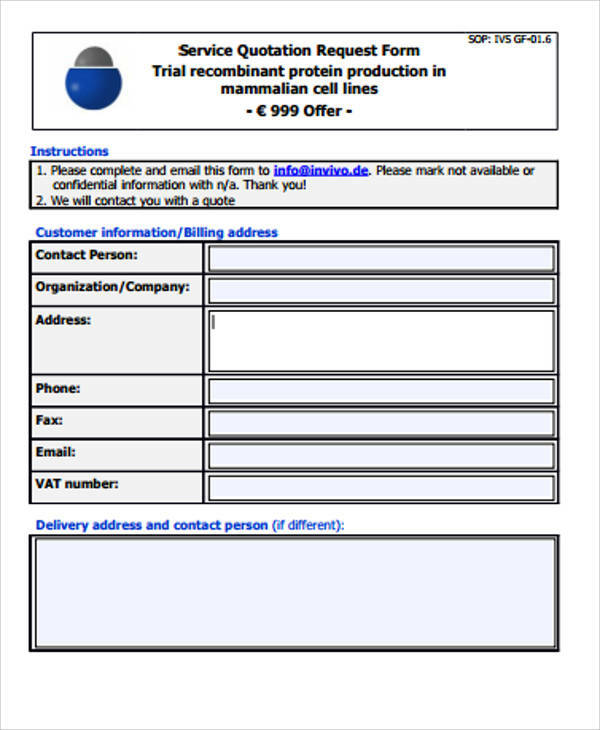 You may find more information regarding creating service quotation templates by checking out How to Create a Quotation Template. One of the main goals that you have when it comes to service quotations is ensuring that everything is clear and is fool-proof. This will help to make it less confusing and it will help make everything way easier to understand. This way, you are less likely to encounter any misunderstandings with your customer. We are here to help you out with a few helpful tips that would make processing of quotations easy as pie. Check it all out below. Differentiate each item. The services you are offering are all different but your customer may not know that. So you have to make sure that you are able to clearly differentiate between each service that you render. If you want to, you can add a footnote for the description of the services that you are offering. This way, you are sure to avoid confusion and you are able to clearly explain what your services are. Describe miscellaneous information. If you want to include any information that is not readily available in your template, make sure that you include it in the comments section of your quotation template and make sure that you give a complete description of what you have included. Such miscellaneous information may be in the form of insurance, shipping, additional fees, pricing disclaimers, or any other information that you think may be helpful in ensuring that your customer has a good grasp of your service quotation. Do not overcomplicate anything in your service quotation. If your customer is asking for a wide variety of services from you, listing it all down may not be such a good idea as this can make everything look messy, and let us face it, it defeats the goal of being able to make everything easy to understand for your customer. To make things less complicated and a little bit more organized, make use of a table and assign specific cells to certain items. You may not think much about it but quotation formats actually matter in ensuring that your transactions go as smooth as possible. 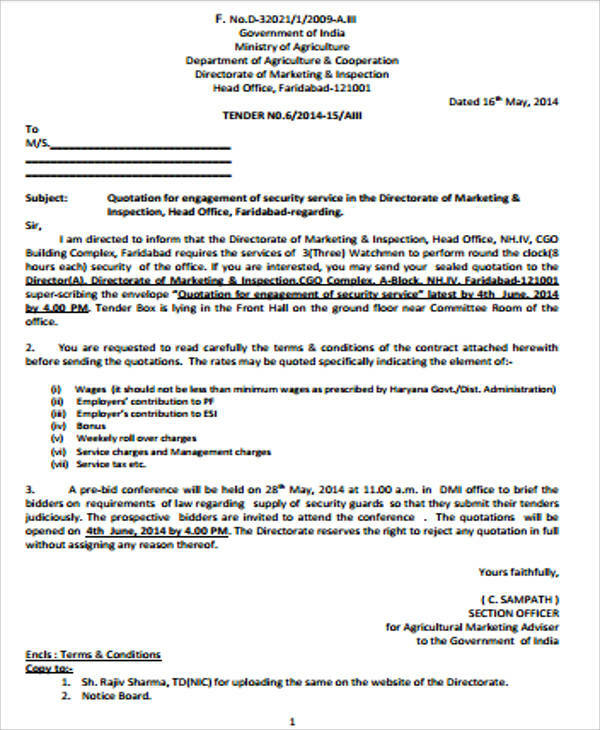 Attach supplementary documents. Customers deeply appreciate it when you proactively give them a legitimate proof of transactions that you had with your suppliers. Attaching invoices and receipts may not seem like a lot but they offer a more efficient and perfect means of processing what the customers are expecting of you. Specify the currency you are using. Specifying the currency can also help to avoid any possible misunderstanding that may arise. This way, you can make sure that you and your customer are both on the same page when it comes to what is reflected in the quotation. With these insights and tips, we hope that you have gained useful ideas on how you can utilize your service quotation templates in the best way possible.